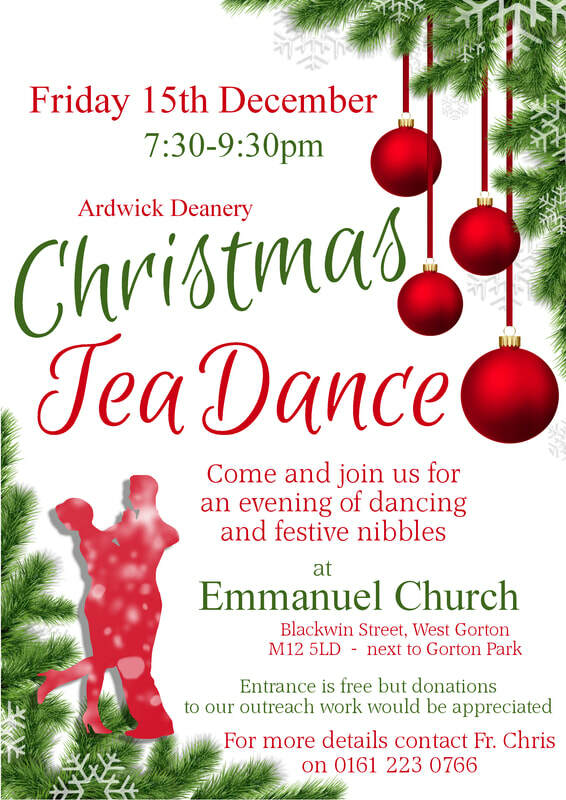 Our Deanery Dancing Classes have been such a great success this year that we've decided to organise an evening of festive fun, dancing and nibbles at our special Christmas Tea Dance at Emmanuel Church, Gorton, on Friday 15th December!!! There will be exhibition dances by class teachers Fr. Chris and Shanice, as well as dances everyone will be able to join in with!! !